Sinquerim beach in north Goa is located at a distance of about 15 kms from Panaji. It is one of the quieter beaches of north Goa, a striking contrast to other north Goan beaches. 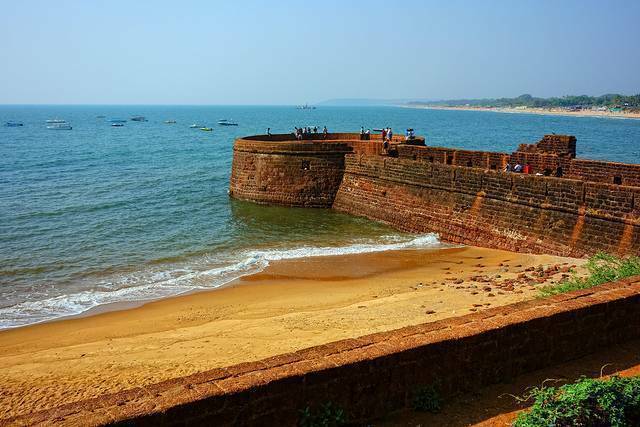 Fort Aguada is located close to the beach and the beach is a great place for swimming, walking along the sandy shores and enjoying the sea in all its glory. There are watersports facilities offered at the beach and the scenery is breathtaking.